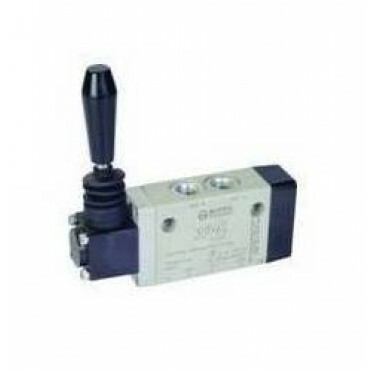 Connection Type : G 1/4"
Features :Mounts in any position.Solenoid cover can be turned by 180° to change the position of manu.. Features :3 PORT SPOOL TYPE SOLENOID VALVE - DFA 263Mounts in any position.High performance PTFE Gli.. Features :Bubble tight shut offVibration resistance to 9gSuitable for high speed cyclingSpeed up to .. Features :Bubble tight shut off.Mounts in any position.Vibration resistance upto 9g.Suitable for hig..